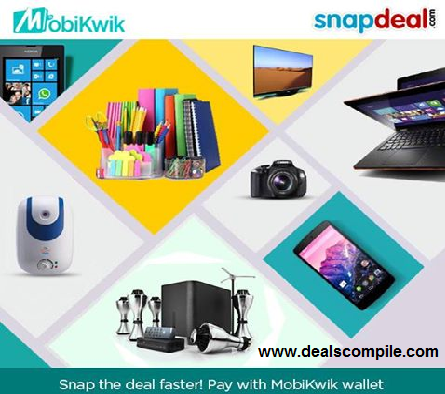 -Snap the deal faster , Pay with Mobikwik Wallet. Just add money to mobikwik wallet & get 10% discount on any purchase. -Maximum Cashback Rs.100 Per Transaction. -There is no limit to the number of transactions for a customer. -Offer duration 1st November to 30th November 2014, both dates included.